We develop amazon product scraper software for merchants who are interested in receiving actual information from amazon. 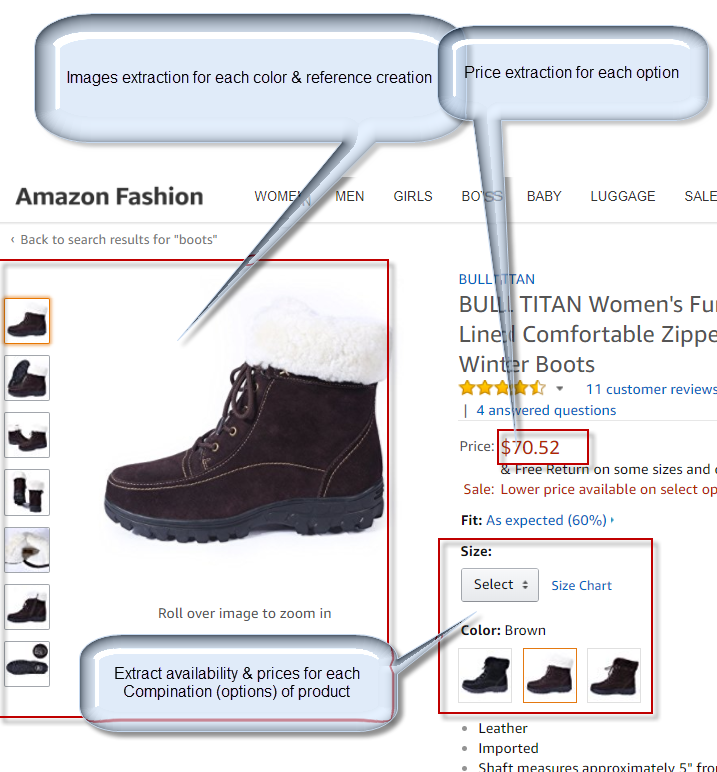 We provide development of amazon data extraction. Our amazon scraper software works on our servers. Customers receive access to private area on our website. We started development of amazon web scraping since 2009. Our first implementation of amazon data scraper was very simple and primitive. 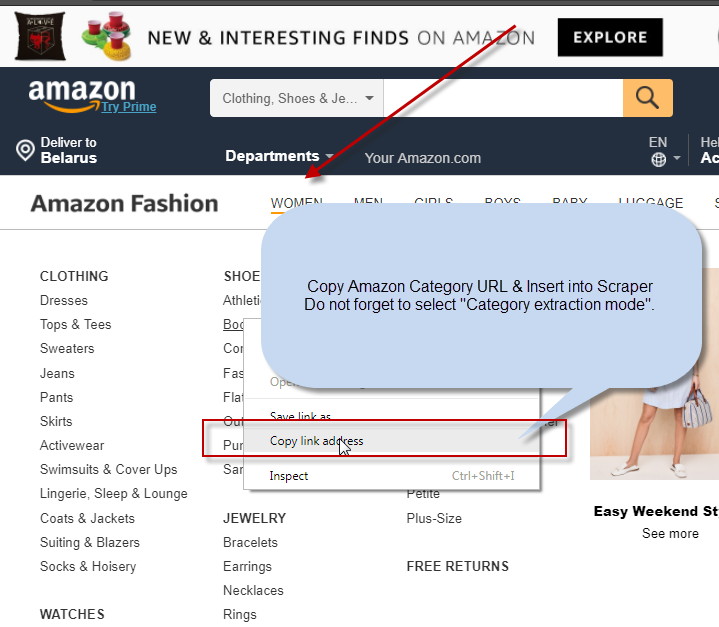 If compare with current version of amazon web scraping solution we improved speed & quality of application dramatically. How to scrape amazon products? When we started to develop ourÂ Amazon Scraper Â we agreed that there are two main parts of software have to be implemented. So I will say how to scrape amazon products . Part 1 – Amazon crawler. Part 2 – amazon data extractor. When we finished our software we decided that it is necessary to app AMAZON products model into our software to support features & combination. So if you want to know how to scrape data from amazonÂ – the answer is very easy – implement 3 parts and it will be enough. 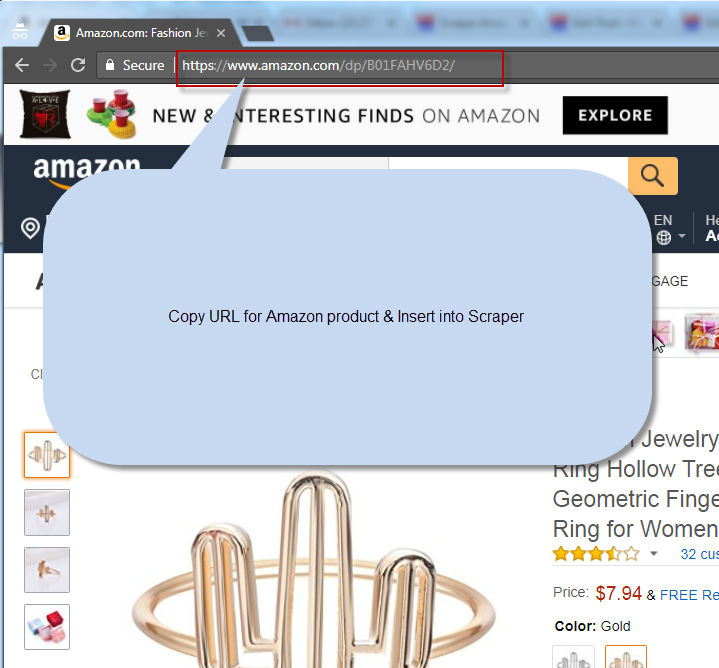 Web scraping amazon site is not so trivial task. Why? Because Amazon size has different template for different categories. And it is hard to test software for each. So when we develop scraper in technical specification we always define category or number of categories Â what will be processed by our software. Anyway all what you need will be processed by software. We provide Amazon Product Scraper as a Web Service. Client receives private login & password from our service. It allows them to have access to Amazon data from any place.Â It is possible to send data to email or access data via API. More over client has possibility to schedule tasks for data extraction. Do you need to extract real-time data from Amazon?